Prime Location in the HEART OF NEW TAMPA and just a stone’s throw away to everything you might need!! 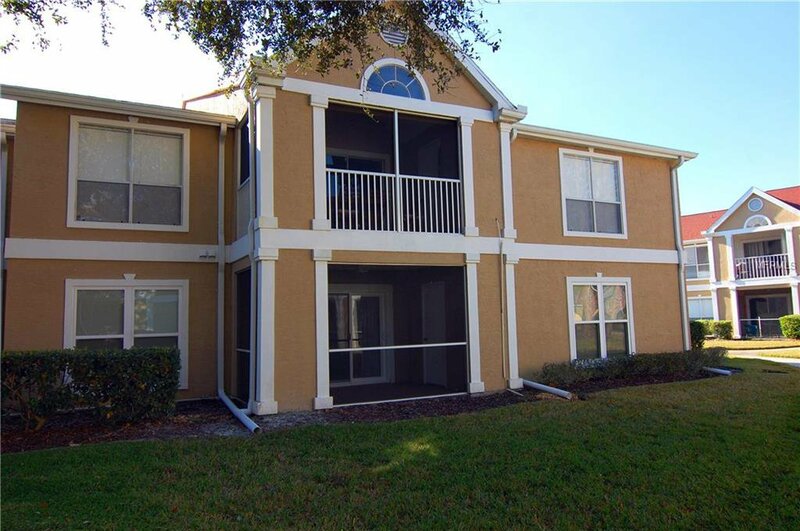 RARE 3 Bedroom/2 Bath, 1st FLOOR Condo in the beautiful, 24 hour guard- GATED community of Hunters Green. This home features an open floor plan with a breakfast bar, large walk-in closets, 5 ¼ baseboards, SCREENED-IN and private PATIO with extra storage area. Recent updates include: All WINDOWS, SLIDING & EXT. DOORS replaced with high energy efficient and cost saving units (2014), new HVAC system (2014), new water heater (2014), new kitchen counter tops (2014), new black STAINLESS STEEL appliances (2014-2015), new paint and hypo-allergenic carpeting (2014). Community features: Scenic preserves, community pool, fitness centre, soccer & baseball fields, walking trails, basketball & tennis courts, playground and park. All this minutes from great shopping, restaurants, schools & major commuter routes. Welcome Home!! Listing courtesy of CHARLES RUTENBERG REALTY INC. Selling Office: RE/MAX CAPITAL REALTY.